This year provided plenty of memorable personal travel moments. 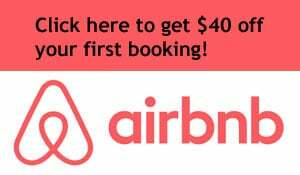 I didn’t make it outside the U.S., but I hit up a lot of great spots within the country, from Miami to L.A. to New York City to a bunch of small towns in between. Presented in no particular order, here are some of the moments that I’ll remember from this year. Well, his wax figure, anyway. 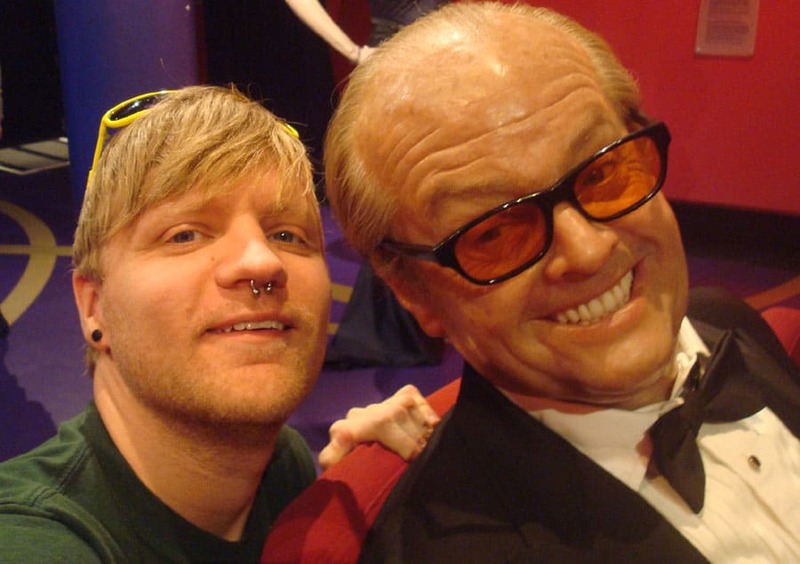 I also met Lady Gaga, Marilyn Monroe, Brangelina, Snoop Dogg, Michael Jackson, Jim Carrey and many more and Madame Tussauds in Hollywood. I haven’t written about this yet – it’s coming in a couple of weeks. While vacationing in Key West, we found coconuts (and avocadoes) lying on the sidewalk. During a 30-minute walk, we painstakingly cracked open one of the coconuts and enjoyed its juice. Free fruit on the street! How cool is that? 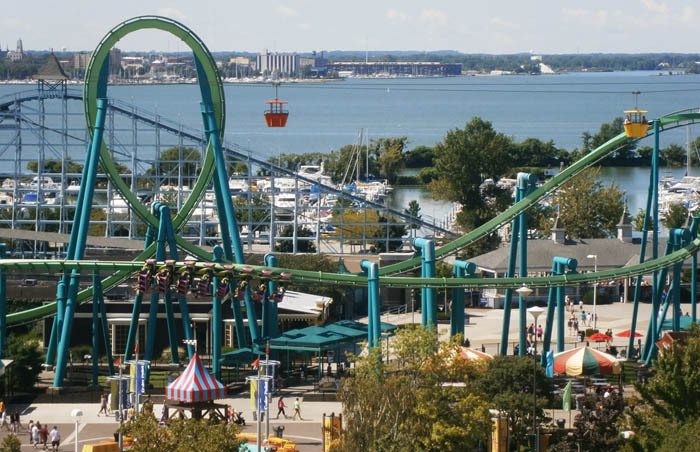 I got my fill of coasters during a two-day trip to Sandusky, Ohio to check out the best amusement park in the country. Being in the front seat of the Top Thrill Dragster as it shot off from a dead standstill to 120 miles per hour was an exhilarating feeling. 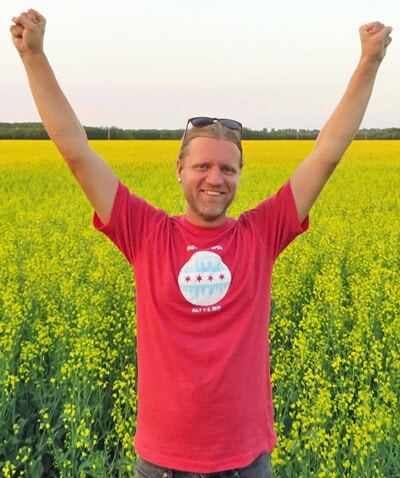 Joining a thousand scantily-clad wackos on a chilly summer night for a 10-mile ride through the busy streets of Chicago was pretty sweet. These events happen all over the world, so if you’ve never taken part, put the WNBR on your bucket list. I’m a Grammy Awards junkie, so it was cool to finally visit the Grammy Museum in downtown L.A. and see some of the actual outfits worn by stars like Michael Jackson and Lady Gaga. And they even had the infamous JLo dress from 2000. 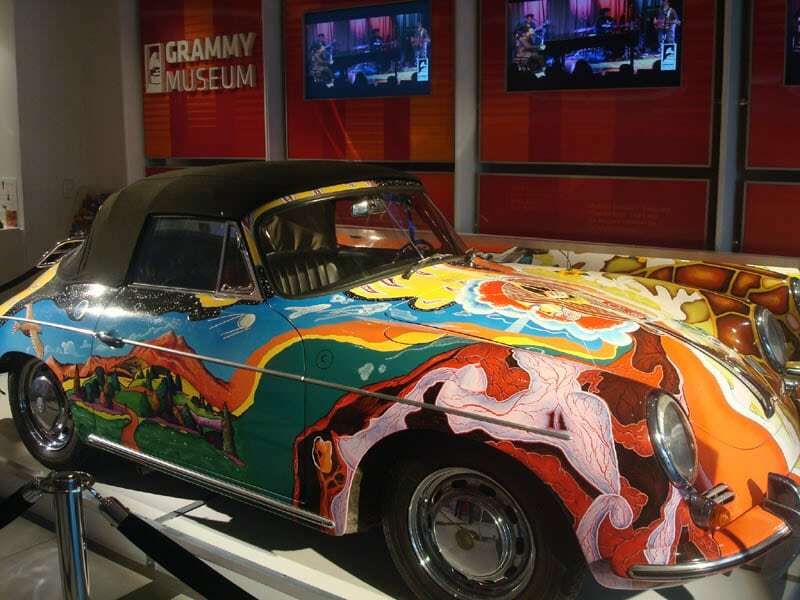 Check out my Grammy Museum review. Couchsurfing.org, the worldwide network of people who let strangers crash on their couches, hosted its Pittsburgh event in October, so I got to come back to town, meet cool people and get lots of good material for my 66 things I love about Pittsburgh article. 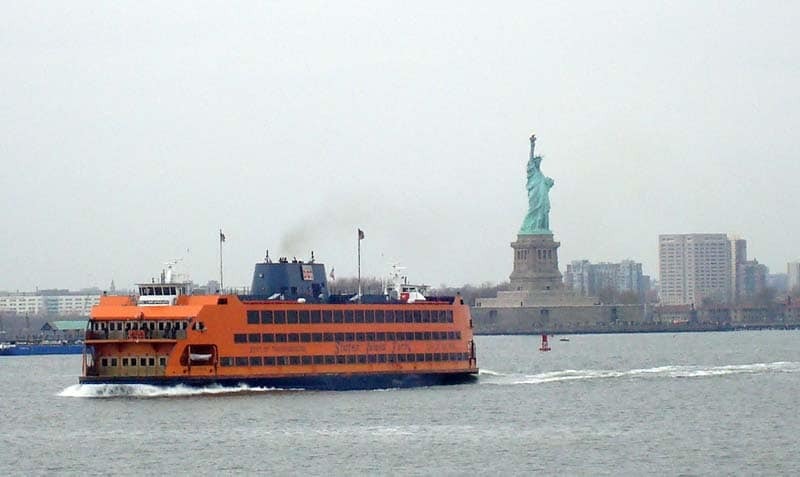 I got my first close-up view of the Statue of Liberty and didn’t pay a dime. Score! Dirt-cheap karaoke doesn’t get any better than some of the Koreatown establishments in L.A., where you can rent a private room with a few friends (Hey, Jason!) for just a few bucks per hour per person and sing as much Journey, Whitney and Britney as you can stand. During a weekend trip to Milwaukee’s Public Museum, a butterfly stopped on my shoulder and hitched a ride for a good 10 minutes while I walked through the butterfly wing. Chicken fingers, mozzarella sticks, french fries and marinara sauce piled onto a roll, courtesy of the Rutgers grease trucks. It’s a heart attack on a bun – all for just six bucks! Story coming soon. The picture pretty much tells the tale. I made it to four huge music festivals over the span of two months this summer, taking in close to 100 bands along the way. Among the highlights: Lykke Li, Fitz and the Tantrums, Ratatat, Animal Collective, Emmylou Harris, Mayer Hawthorne, Girl Talk and Of Montreal. Yes, I’m a total hipster. 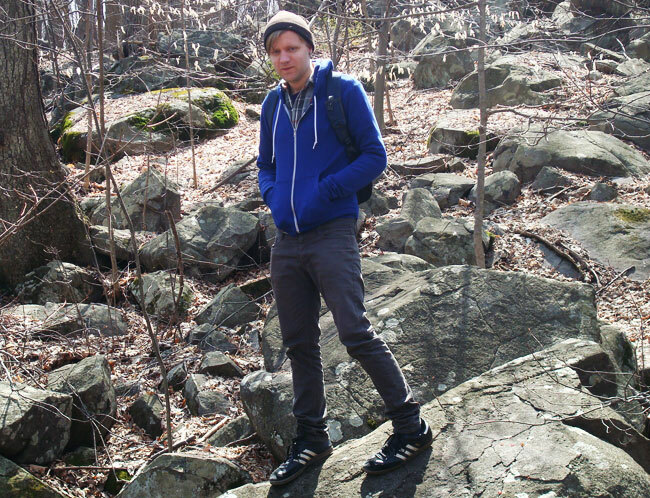 The Sourland Mountain Preserve in central New Jersey contains ancient boulders that were once underwater. Proof that you don’t have to go to an exotic location to find cool natural wonders! My cousin lives in a swanky apartment building in the Lower East Side with a sweet rooftop lounge area, allowing me to get an Empire State Building-type view for free. 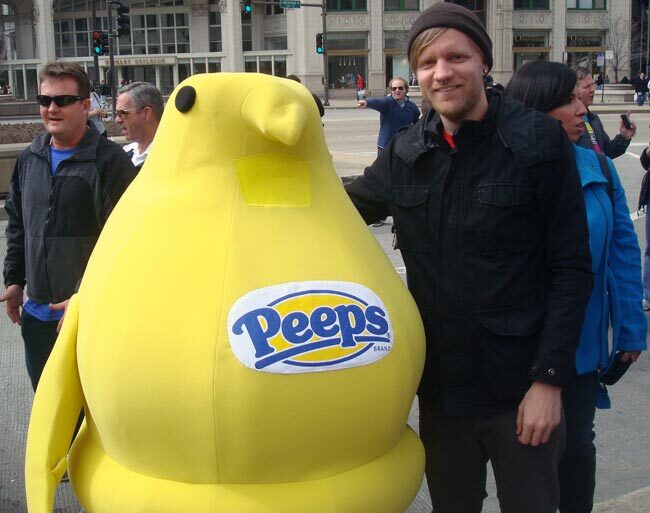 During World Pillow Fight Day in Chicago, I got to fraternize with the Peep. Don’t tell anyone, but he secretly despises the Keebler elves. Most of the camping I’ve done has been in the backseat of my old van. This year I finally purchased an actual tent and used it at the Indiana Sand Dunes and at a cheap campground near Chicago. 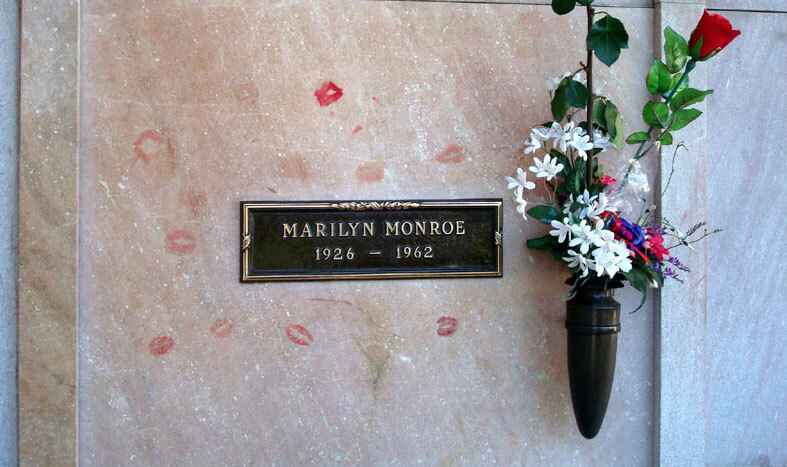 Even her grave site is classy and glamorous. I finally made my first trip to the famous west coast fast food chain to experience the In N Out Burger secret menu. The neapolitan shake was the best milkshake I’ve ever had, but the protein style burger (wrapped in lettuce instead of a bun) was a mess. Hundreds of freaks dress up like zombies and wander through the streets, for no apparent reason. It’s beautiful. What’s better than being lazy, taking in some sun, and playing in the ocean? I want to make South Beach my permanent winter residence! I would love to hear about where you went this year. What was your favorite travel experience of 2011? Great stuff! 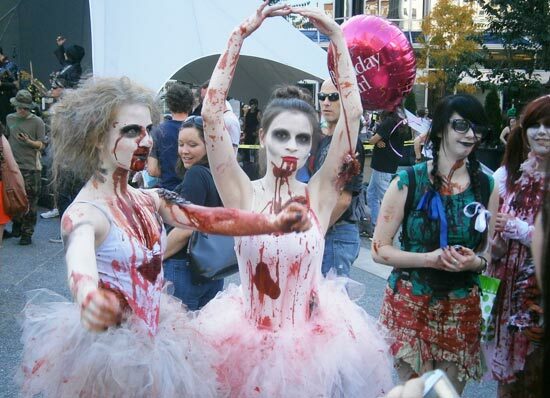 Now I would love to see a zombie walk, too bad we don’t have that here in London! It’s such a strange thing to see! Happy 2012 to you Sophie, hope you make it to some amazing places this year! We took a trip to St. Louis for a couple of days at the end of March, rode to the top of the Arch, took a paddle wheel tour, went to the City Museum, and ate at Crown Candy and Blueberry Hill… really enjoyed it. Also stopped at Hannibal Mo., Cahokia, and Springfield and toured the Lincoln stuff there. 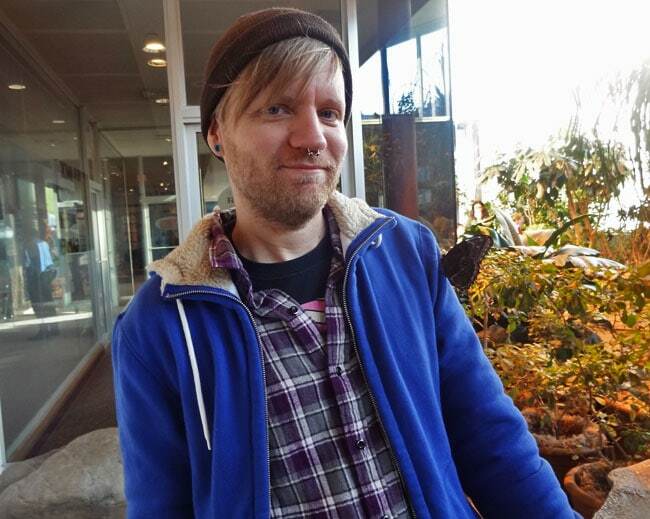 Also had a trip to Minneapolis and walked around the Stone Arch Bridge, Minnehaha Falls, and the Wabasha Street Caves… amazed that though I lived in Minneapolis for 5 years I never really did any of that. Cool! I did the Arch and City Museum as well. I love Minneapolis and it’s on my list of places to visit this year. Thanks Arti, same to you! Quite a year you’ve had, Scott. I hope that 2012 will be at least that eventful! Did know that you had done the Naked Bike Ride — did you post pics of that? 🙂 All the best for the new year! Yep, I took a couple pics, it was fun. Happy new year to you! I was not expecting to see the Peep but could not pass up the opportunity! What a fabulous year it’s been for you – congratulations!!! That is a remarkably close likeness of Jack Nicholson. My favorite travel experiences of 2011 was climbing up the Eiffel Tower and seeing Stonehenge. Cool, the Eiffel Tower is still near the top of my list of places to see. What a fun round-up … and it has given me a couple new destination ideas! Also, went to NYC and did Scott’s Pizza Tour there….and a Back Bay chocolate tour in my hometown of Boston. Lots of eatin’ here! Ooh, blacking out on rides would be scary. The Cedar Point rides are worth the risk though! These year end posts are great. I love Cedar Point! You really got around the country in 2011. 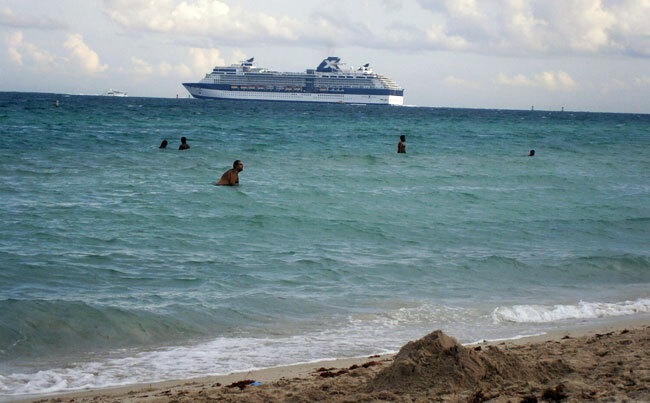 I also made it to South Beach this year (for the first time) and was very impressed. Now I really want to go to some summer music festivals! Cedar Point and South Beach were two of my favorites! Nice summary of experiences Scott. I clearly remember your post on Pittsburgh – a city I’m now really interested in visiting. Thanks, that post was my favorite of this year. Favorite trip of the year was to Toronto to a Women’s Tennis tournament. Got to see many favorites up close – Serena Williams – Sam Stosur – Vera Zvonereva – what a great week outside!! These cubicles get pretty suffocating at times…. That sounds fun! I like watching tennis but I’ve never seen it in person. Looks like you saw quite a bit of the US! I also did some travelling around my home country this year. I always like checking out interesting local spots.